You are here: Home / Business & Technology Trends / What Does “Data-Driven Company” Mean for a Developer? While highly glossed over in the typical telling of this story, the role of developers in a data-driven company is extremely important. First of all, this cycle often begins with app development. In fact, application logging and transaction histories are usually the initial cache of data from which insights are initially discovered. Before an app in question is deployed, a company may have no ability to even measure whatever characteristics they are interested in tracking. Adding event detection of cases, patterns, or exceptions using algorithms refined by analysts – perhaps allowing humans to be alerted to situations that need special handling. 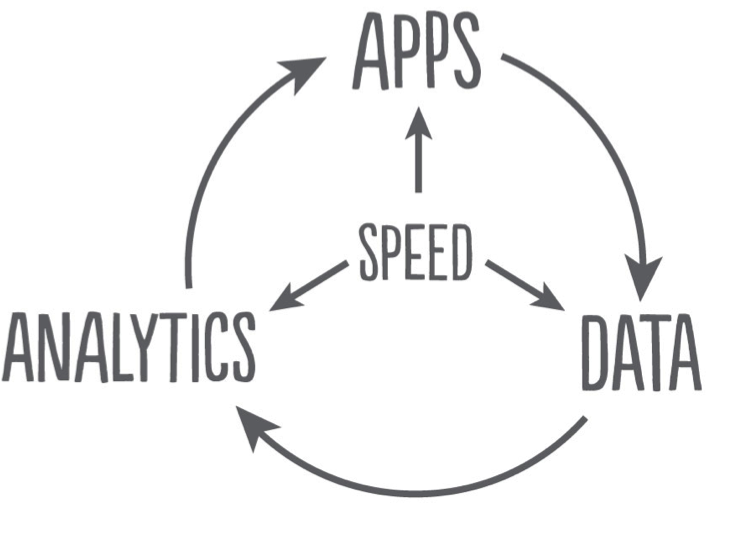 Automation of app behavior using algorithms refined by analysts – going further than detection and intervention. The data scientists at Pivotal Data Labs are often fond of saying, “Power point is where insights go to die.” This is the fundamentally important role that developers in a data-driven company play: they turn insight into innovation. For more ideas of how developers can help their companies become “data-driven companies”, check out the Big Data @Pivotal blog for ideas.